Welcome to See Thru Chinese Kitchen. The food, of course, has to be delicious. The service has to be impeccable and the atmosphere has to be warm and cozy. But most importantly the people at See Thru Kitchen would like to please every customer who walks through our doors. In addition to serving the best Chinese food, the professional staffs are able to serve the customers with great knowledge of Chinese cuisine. With mostly open space and see-through windows between the kitchen and dining area, See-Thru Kitchen really earns its brand name by utilizing the open kitchen design concept. Plus, our customers can always enjoy the art of Chinese food cooking process. This is the sort of place for everyone, whether to have a quick lunch or diner, or have a family gathering on the weekend! Every See Thru Chinese Kitchen offers a menu that contains 100 –120 dish items depends on location. Most of the menu items are similar at different locations, but there are some special dishes and chef’s new creations only offered at specific location. 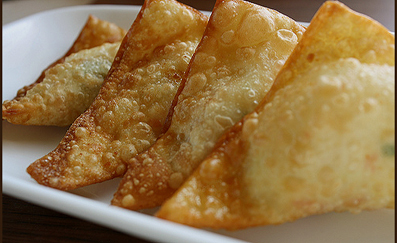 The Top 10 best selling See-Thru Chinese Kitchen items are Egg rolls, General Tao's Chicken, Broccoli & Beef, Kung Pao Chicken, Sweet & Sour Chicken, Hot & Sour Soup, Wonton Soup, Chicken Chow Mein, Egg Foo Young, and off course Fried Rice. Quick Facts of Chinese Food in the U.S.
-The first Chinese restaurant that was reported to open in San Francisco had a grand opening on Dec. 10, 1849, located on Jackson Street in San Francisco. It was called "Canton." 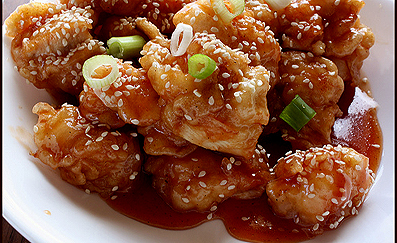 -Today, no longer a niche market, Chinese cuisine has become an integral part of the American dining scene. About 72% of Chinese restaurants are open 7 seven days a week, year round. -The most used Chinese herbs are ginger, ginseng, and Green Onion. -Chinese food, Italian food and Mexican food have become the three most popular ethnic foods that are consumed daily by mainstream Americans, according to a survey done by NRA.